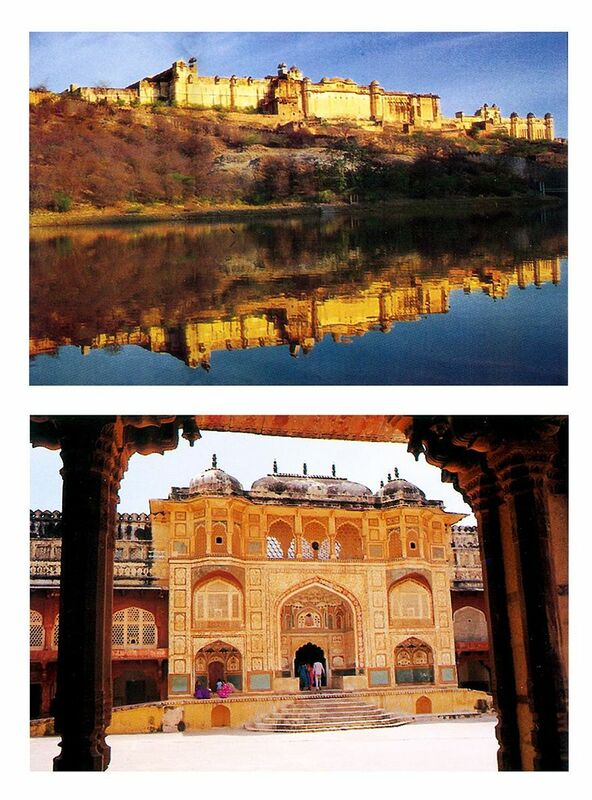 Amer - It is a town with an area of 4 square kilometres located 11 kilometres from Jaipur, Amer Fort is known for its artistic style elements. 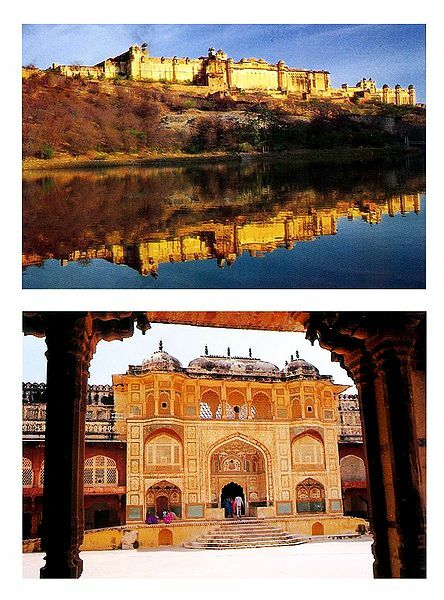 Amer or Amber Fort was once the capital of princely Jaipur state, and the fort was the residence of its Rajput rulers. Maharaja Man Singh I, a trusted general of Akbar who led Mughal Emperor Akbar's army, commenced its construction in 1592 on the remains of an 11th-century fort. Constructed of red sandstone and marble, the attractive, Amber Fort consists of a series of four courtyards, palaces, halls, and gardens. With its large ramparts and series of gates and cobbled paths, the fort overlooks Maota Lake, which is the main source of water for the Amer Palace. To reach the entrance at the top, you can either walk uphill, ride on elephant back, go by jeep, golf cart, or take your vehicle. Amer Fort, along with five other forts of Rajasthan, was declared a UNESCO World Heritage Site. Ganesh Pol - It is in Amer Fort, constructed 1611 and 1667 by King Jai Singh II is located in the main palace of the Amber Fort. There are total seven main gates like Ganesh Pol in the Amber Fort but Ganesh Pol has most importance among all due to its unmatched architecture and strategic location. As the name suggest, Ganesh Pol has a magnificent idol of the Hindu Lord Ganesh which is splendidly coloured in different colours. Ganesh Pol is located near the Jaipur city, in the Amer Palace. Nearest bus stand is Amer Fort bus stand and one can easily reach here with a local taxi or cab from Jaipur.